If you have your own Disney site, or have another favorite, let me hear from you. 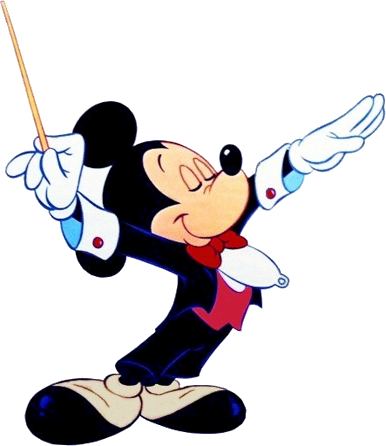 MOUSEBITS: The best place on the web to share Disney music and video that is not available commercially. MAGIC MUSIC: Chat forum focused on assembling playlists for the background music loops used in Disney theme parks. WALT'S MUSIC: A wonderful collection of rare Disney and Disney related vinyl record albumsthat you can listen to on-line. MOUSE VINYL: Another wonderful collection of great vintage Disney record albums you can listen to on-line. KIDDIE RECORDS WEEKLY: A collection of vintage vinyl albums, including several Disney, with amazing audio. SUBSONIC RADIO: Streaming internet radio with music from Disney theme parks broadcasted 24 hours a day. UTILIDORS AUDIO BROADCASTING: Disney theme park radio station broadcasting music 24 hours a day. SIDESHOW SOUND THEATER: Podcast hosted by music experts covering all film soundtracks including Disney. SPECTRO RADIO: Streaming radio with Disney theme park music & soundtracks broadcasted 24 hours a day. WALT DISNEY RECORDS: Official Disney web site where you may purchase new music and classic soundtracks. YESTERLAND: A look back at Disney theme parks with rare photos and articles about former shows and attractions. DAVELAND: A supurb and comprehensive collection of vintage photos of Disneyland and other Disney parks. DISNEYLAND POSTCARDS: Hundreds of scanned images of Disneyland postcards from the 1950's to the present. GORILLA'S DON'T BLOG: Hundreds of rare vintage photos from Disneyland and other classic theme parks. VINTAGE TICKETS: Hundreds of images of vintage Disney theme park tickets, brochures and promtional materials. STUFF FROM THE PARK: Hundreds more extreamly rare vintage photos from Disney theme parks. WALT DATED WORLD: A look back at Walt Disney World with indepth articles about former shows and attractions. PASSPORT TO DREAMS: Indepth articles, music and photos chronicling the early history of Walt Disney World. ENCYCLOPEDIA OF ANIMATED SHORTS: Fun facts and images for every Disney short, past to present. ORIGINAL MICKEY MOUSE CLUB: A site dedicated to the original '50's TV show with great photos and trivia. MOUSE CLUBHOUSE: Indepth articles covering Disney history, with rare photos and exclusive interviews. DOOM BUGGIES: The premiere site for historical information about Disney's classic Haunted Mansion attraction. INSIDE THE MAGIC: A weekly hour-long podcast covering the very latest Disney news from around the world. COMMUNICORE WEEKLY: A weekly vidcast covering all manor of Disney subjects, both past and present. MICECHAT: A great place to meet other Disney fans on the web to share ideas and discuss the latest Disney gossip. MICEAGE: The best place to read up on the latest happinings at the Disney them e parks, with lots of great articles and photos. MOUSETALGIA: A weekly podcast, covering Disney history, the Disneyland Resort and the Walt Disney Family Museum. WEDWAY RADIO: A podcast with historical and behind the scenes stories from the Disney parks and the Disney Company. THE SWEEP SPOT: A podcast with former Disneyland cast members taking an indepth look at the park, past and present. THE DISGEEK PODCAST: News updates, rumors and historical fun facts about the Walt Disney Company. THE DISNEYLAND GAZETTE: Website featuring news stories about the Disney Company, and bi-weekly podcast. LAUGHING PLACE: Website featuring news articles and stories about the Disney Company, and monthly podcast. STORIES OF THE MAGIC: A great podcast featuring interivews with Disney legends, fans, and former cast members. DISNEY DOSE: A fantastic website featuring Disney news and history with a weekly podcast covering all things Disney. 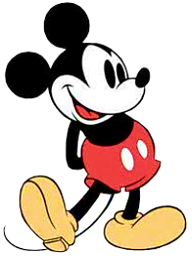 DISNEY WIKI: A user created and edited encyclopedia, covering all areas of the Walt Disney organization. DISNEY CLIPART GALORE: A collection of free clip art featuring well-known and obscure Disney characters. DISNEY'S OFFICIAL WEB SITE: Featuring the latest information about movies, music and theme parks.